Many people want to stay in countries that are celebrating the Boxing Day right after the celebration of Christmas Day. But most of them are not aware of its importance in the tradition of those people who belong in American and European nations. 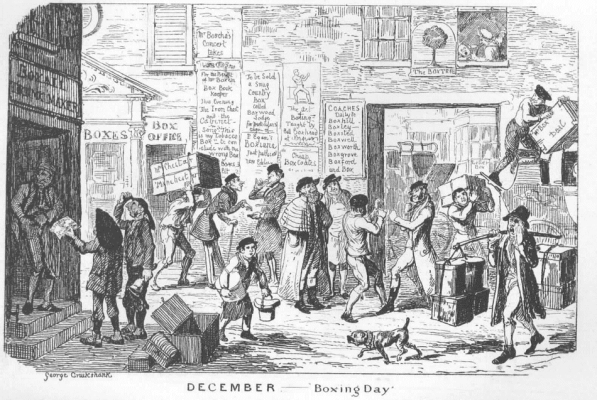 Boxing Day is one of the most special traditions that can be found in the United Kingdom, United States and other countries in the different parts of the globe. History shows that this event has been created to promote the season of giving in the duration of the Christmas season. Its name has been invented to describe Christmas gifts in boxes. It’s a season of giving and it was designed to give real happiness and joy to the Christmas celebration of servants who deserve to be happy in the celebration of Christmas season. This tradition is already well known in the different parts of the globe in the duration of 18th century. Until now, it remains as one of the most important traditions in English-speaking nations that can be found in Europe and America. This celebration has nothing to do with the popular sport in this world that is well known as boxing. It’s a great time for enjoyment and relaxation for those people who want to stay on the side of their family members in one of the most special days in the whole celebration of the Christmas season. The exact date for Boxing Day this event is December 26. It’s an annual event that was designed to serve as a day off for all servants who want to provide their family members with gifts right after the celebration of Christmas day. On the exact date of this celebration, all servants will be provided with Christmas boxes by their masters as a sign of thanksgiving and humbleness while celebrating the birth of the Jesus Christ. Servants can use all things that can be found in their Christmas boxes as gifts for their family members when needed. The main purpose of Boxing Day is to make sure that all people in this world will be happy and aware of the true spirit of Christmas celebration for the rest of their lives. In other countries, new terms and words were used to introduce this event. In South Africa, the term that was used since 1994 to describe this tradition is Day of Goodwill since it encourages people to be humble and aware of the real meaning of love while celebrating the second day of Christmas season. In Europe, the most common term for this special tradition is Second Christmas Day. At the present time, the new term that has been introduced to describe this celebration is bank holiday. This is because Christmas boxes are no longer popular in the whole celebration of Christmas day in this modern world. There are times that the celebration of this event will be moved to December 27 if December 26 falls on a Sunday. This tradition is something that all servants or workers should never miss in the whole celebration of Christmas season. What does Boxing Day mean for you? Is it about hitting online stores like Amazon and eBay in search of sales? Is it about recovering from a busy Christmas Day? What tips do you have for getting the most out of Boxing Day? Let us know in the comments below.